February 20, 2014  It's not Rudolph's nose that's red. 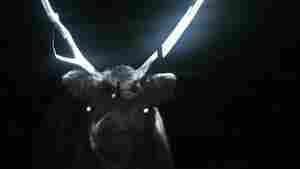 Herders in Finland are experimenting with reflective paint on their animals' antlers and fur. They hope to reduce the 4,000 reindeer deaths on highways each year. 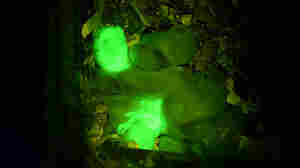 August 15, 2013  Rabbits have joined the growing list of animals that scientists are "marking" with proteins that cause them to glow green under black light. The process helps researchers study genetic diseases and is used in medicine production.